Salma gets out the ham, salad and cheese. She’s making her own lunch because her mum is busy with the three little ones. Salma makes the biggest, fattest sandwich ever. Khalil puts on his shiny new shoes. He is excellent at tying his shoelaces. He can do double bows, even triple bows! He likes tying shoelaces more than anything in the world. It’s the first day of school for 6 children and the first day back at school for one of the mums. Each child and family is introduced separately, with telling details about their personality and home structure. 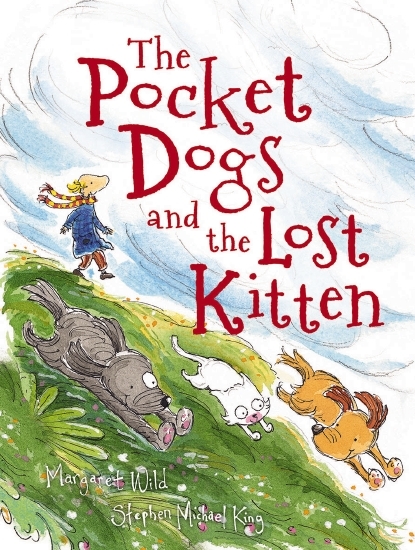 They travel to school and meet their teacher and the pages are crammed depictions of this first school day and the responses of individuals to the class and to each other. Alex’s dog visits and she has a brilliant idea. When their day is done, the children (and dog) all return home. Watercolour and pencil illustrations begin simply, then as the children move through their day, the images become a combination of group ‘shots’ and vignettes. ‘First Day’ was initially published in 1999, but loses none of its relevance in 2017. The children, from diverse homes, carry all the innocence, anticipation, trepidation and bravery that are displayed in any first day classroom. It’s a delight to see the classroom through the eyes of these young children and to remember that first days don’t ever stop. It’s Alex’s Mum’s first day back at ‘school’ and she carries many of the same emotions and fears as the children – a lovely thing for young children to understand. The illustrations invite empathy and model gentleness. Ideal for use at home and in the classroom. 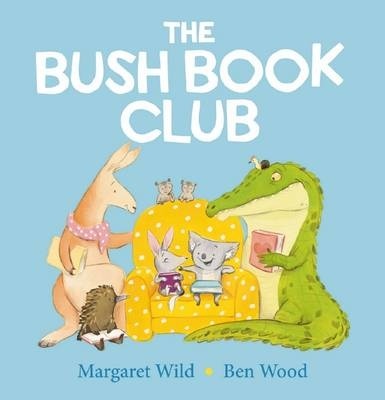 Recommended for pre- and early-schoolers. but he didn’t know how or what or why. Every day Bogtrotter comes out of his cave, stretches and runs: up the bog, down the bog and around the bog, until it is time to go home. Sometimes he feels discontent, but he doesn’t know why, or how to change things, until he meets a frog who causes him to question why he always does things the same way. That afternoon he picks a flower for the first time, which leads to other changes. Bogtrotter is a lovely tale of the joy of life and taking risks. The Bogtrotter is a grassy green being with a cuddly body and big smile. His surroundings are simple, making him the chief focus of the illustrations. His energy and expressions make him a delightful star. Bogtrotter, suitable for kids (and adults) of all ages, is wonderful way of exploring the value of thinking outside the square. When the baby duck hatched, the first thing it saw was Davy. It fluffed its feathers – and started following Davy everywhere. and all the way home. When Dad tells Davy that the duckling thinks he’s its mother, Davy decides that’s just what he’ll be. He makes a nest for it, takes it for its first swim and cares for it. Davy and the duck are together throughout their lives. Davy and the Duckling is a gentle, moving tale about the love between a child and his unlikely pet. As Davy grows, so too does the duck, there for all the highs and lows of Davy’s life, from losing a friend, to finishing highschool, and even to marrying . The duck ages and becomes fragile, but their friendship remains strong, and the bond is strengthened when Davy becomes a father, and the duck appears to think it is Molly’s mother. 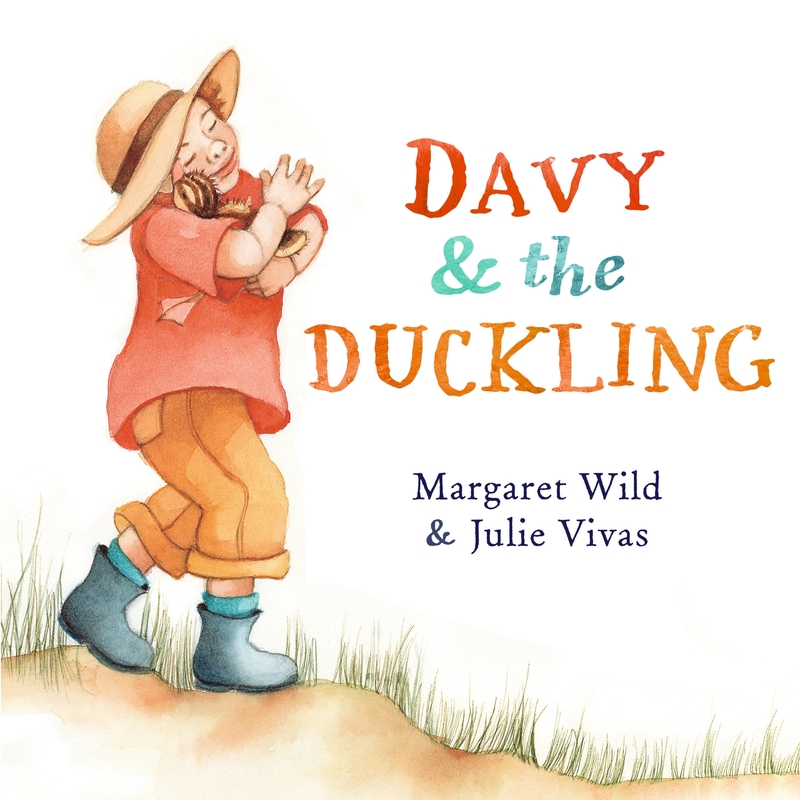 A beautiful cycle of life story, Davy and the Duckling is brought to life with the gentle but lively illustrative work of Julie Vivas. Vampyre lives in darkness, feared and despised. As a child he was free to play and swim in the moonlight, where he befriended the birds and the deer. Now he is fully grown, expected to embrace his role, to attack and to kill. But instead he longs for the light. Finally, he waits for midday and runs away from his family, weeping as he emerges. His old friends, the deer and the birds, welcome him. Vampyreis an extraordinary picture book for older readers. Whilst it is about a Vampyre, this is not a cloak wearing, coffin-dwelling stereotypical vampire, and is well removed from the modern vampire stories pitched at teens in recent years. Instead, the narrator is a fairly normal looking young teen, with pale hair and skin (he is a creature of the night and must stay out of the light), and with small fangs visible in only a few illustrations. Far from being frightening or intimidating he looks like any lost and confused youngster. And this is the point of the tale – Vampyre could just as well be a teen pressured to conform on issues of sexuality, or career choice, or religion, as a child pressured to live the life of a vampyre. he wants something different than those around him, and his parents – especially his father – struggle to accept that. Wild’s text tells the tale without trying to moralise or convince. The issue is there for the reader to explore. Illustrator Yeo does a brilliant job of using shadow and minimal light to bring to life a story which is necessarily dark-hued. The final spread, with Vampyre huddled in the morning frost, makes wonderful use of light, with golden sunlight breaking through the trees suggesting hope. In a classroom setting Vampyrewould offer much fodder for discussion, but individuals will also be moved by it.